Not sure if my clarification was necessary, but I feel helpful. You could also use a stand alone TV modulator. These are normally used to inject the signal from a satellite receiver and see the single channel on all the tv sets of the home. The cheaper ones tend to cost at least 30 €. The DIY route is a bit cheaper, but you still need to encase them in a fully shielded metal box so the price is still in the 30 € range. Beware that on some old transistor TV sets, even in B/W it's possible to bypass the RF section, cutting some jumpers and downgrade them as monitors: the circuit bord was designed at dual use. Of course to do this you must be a trained tv technician and have the schematics and the pcb layout of the tv set. On many of the old antenna-input only mains powered TVs, the entire 0V rail / chassis is at 1/2 of the mains input voltage (therefore at 120 volts in 240V countries) due to the design of the power supply. The giveaway for these is that the antenna socket typically has an RF isolating transformer built into it, otherwise the outer body of the antenna plug and the entire antenna system would also be at half mains voltage. I used to work in a radio/TV repair workshop - I can recall a few cases where people were complaining they were getting fairly serious electric shocks when plugging their antenna in - usually, the original isolated antenna socket had failed at some point and been replaced with a simple non-isolated socket. None of this applies to any TV with existing video input connectors such as composite, component, S-video or Scart. In all of these cases, the power supply has been designed so that the chassis is completely separated from the mains input supply. One minor suggestion for the section about network (Ethernet) Leads. There are a plethora of sub-types (Cat5, Cat6, etc). Best to state explicitly whether only certain types or just all types (all categories) of Ethernet cable can be used. And does it have to be straight-through or crossover? Well, according to the 'Raspberry Pi user guide' - either is OK, as the Pi self-configures to suit either type. SiriusHardware wrote: One minor suggestion for the section about network (Ethernet) Leads. There are a plethora of sub-types (Cat5, Cat6, etc). Best to state explicitly whether only certain types or just all types (all categories) of Ethernet cable can be used. This is easy: the cable used must be Cat 5 or better (cat 5e/Cat 6). An ISDN cable (http://www.conrad-uk.com/ce/en/product/ ... ble-15m-BK) fits into the socket but can't be used for Eternet. In general, the cable to use is straight if you're connecting to an hub or switch using one of the normal (MDI-X) port. The cable to use is crossover if you're connecting to another computer or to an hub or switch using the Link (MDI) port. Some units are able to autosense if the wrong type of cable is used, and could reconfigure the port as MDI or MDI-X automatically. @abishur: You deserve a lot of credit for making a simple, accurate, and understandable buying guide! Thanks for your effort. I think the pictures help a lot, too. I'm no where near new to computing, but this is my first slice of the Pi. This will help me get started and I appreciate it. For non-hackers, you can buy a preassembled and tested system here: http://www.amazon.com/gp/product/B00ATGENFS. Disclaimer: this is my company. Adafruit has a "cheap" hdmi->vga converter that works with the PI. The "distributors" tab suggests that this product is readily available throughout the world. Awesome! Thanks for this post! Just ordered my Pi and am on the mission of getting all of the things to let me use it! Very nice but not really a buying guide. Can we get the name changed to, something like:"Pictorial startup plug it in, plug it in"? dgerman wrote: Very nice but not really a buying guide. It's a little late in the game to worry about the name, but I'm curious, what do you consider a buying guide beyond a guide helping you figure out what you need to buy? I would make this into a table of contents if you added id= to each item. I would like to suggest you move the SD card item before the keyboard and mouse. And move the ethernet cable above the audio cable. grumpyoldgit wrote: I've been lurking here long enough to know that even if you tell people it won't run Windows they will take that as an indication that it will. abishur wrote: Double side note, if someone sees a more attractive picture of an active hub please send the url my way. I chose this one specifically because it displayed the usb and power connection, but it is *ug-ly*! I'd love to replace it with a better image! Here's a much prettier one. I have a question. There's a component, near the micro power supply, well, actually, it's right next to it. This piece looks like a can. What is it? It fell off of my pi. The pi seems to be working fine. Just curious. Thanks. riedhenry wrote: I have a question. There's a component, near the micro power supply, well, actually, it's right next to it. This piece looks like a can. What is it? It fell off of my pi. The pi seems to be working fine. Just curious. Thanks. Could you please confirm if 8GB MicroSD with Adapter and Raspberry Pi OS installed is mandatory for me? I already ordered but I am worried whether I did the right thing or not? I guess I can use Raspberry Pi Type B 512MB without 8GB MicroSD with Adapter and Raspberry Pi OS installed. you must have an SD card with an operating system to use the Raspberry Pi. See the FAQs at the top of the page. updated the OP, with all new pictures, and more up to date text, after my attempt to edit the text left the post without any pictures at all (bummer). the pictures were not embedded with the img tag it seems, so I had to replace all of them. Well, at least the article is now fully updated. mahjongg wrote: updated the OP, with all new pictures, and more up to date text, after my attempt to edit the text left the post without any pictures at all (bummer). the pictures were not embedded with the img tag it seems, so I had to replace all of them. the technical docs page already links to the article, thats why I had another look at it in the first place. mahjongg wrote: the technical docs page already links to the article, thats why I had another look at it in the first place. Ah. Missed that. Would be good to have a downloadable PDF as well though I reckon. Thank you so much for doing that! Ever since we moved over to the new forum I knew that issue was there which is why I've been dragging my feet on updating the main article. the tutorial (is very helpful) says the hdmi to vga cable doesn't work withthe Pi, and that a convertor box thats seperately powered (as shown) is needed. I looked for one of these at RS and Farnell in the Raspberry Pi sections, via their links on the main page of this website, both only offer hdmi to vga cables and neither are powered. 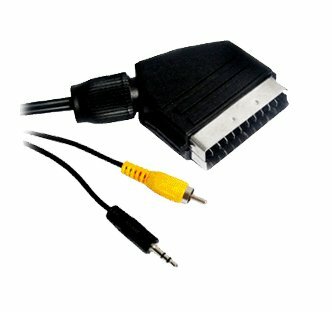 Are these cables hdmi>VGA only, or does the VGA end contain a convertor ? As they are not seperately powered has anyone used either with a Pi, did they work correctly and how did you add a power supply ?